SOURCE: Julian, Isaac H. San Marcos Free Press. (San Marcos, Tex. ), Vol. 11, No. 2, Ed. 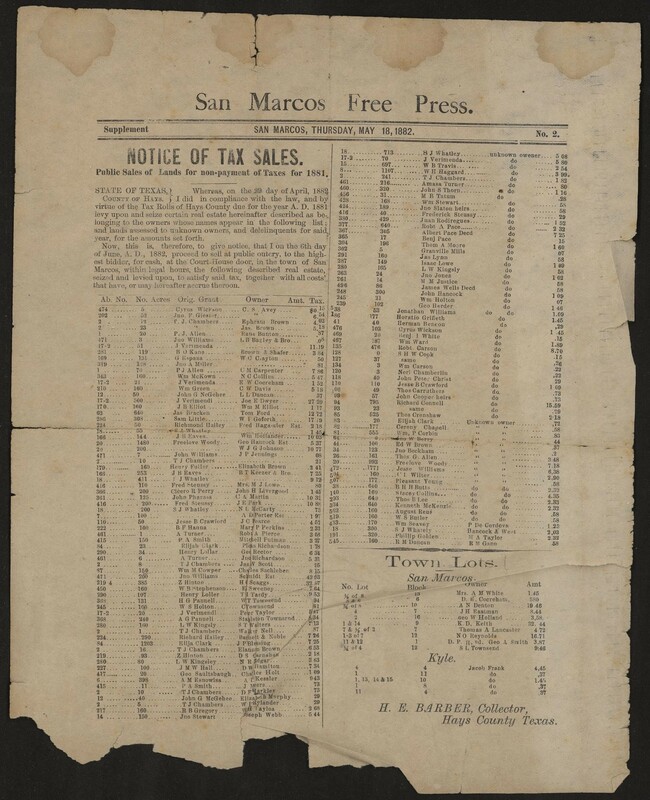 2 Thursday, May 18, 1882, newspaper, May 18, 1882; San Marcos, Texas. (texashistory.unt.edu/ark:/67531/metapth614164/: accessed July 3, 2016), University of North Texas Libraries, The Portal to Texas History, texashistory.unt.edu; crediting Texas State University.